dose Imperial and CASS are very strict on GMAT/GRE ? I have a strong CV + good recommendations. can I get accepted without taking a GMAT test ? Yes, these schools are both very strict, certainly for their full-time MBA admissions. For EMBA programs, business schools will be a bit more lenient and may waive the GMAT requirements for executives with substantial work experience. But in terms of full-time MBAs in the UK - especially those ranked in the FT - you'll most likely need to take the GMAT. Lower tier schools like maybe Ashridge might be more flexible. 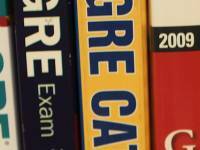 We hear from five MBA application consultants about how to best prepare for the GMAT.